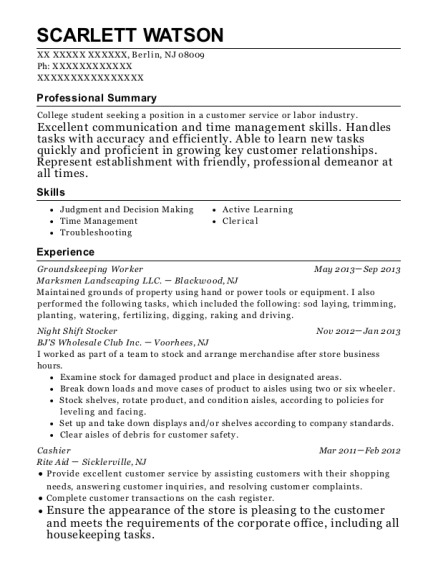 Friendly and enthusiastic worker with 2 years of specialization in stocking and customer service. Able to learn new tasks quickly and proficient in growing key customer relationships. Represent establishment with friendly, professional demeanor at all times. Stock shelves, racks, cases, bins, and tables with new or transferred merchandise. Design and set up advertising signs and displays of merchandise on shelves, counters, or tables to attract customers and promote sales. Sort mail for delivery, arranging it in delivery sequence. Return to the post office with mail collected from homes, businesses, and public mailboxes. Record address changes and redirect mail for those addresses. Travel to post offices to pick up the mail for routes and/or pick up mail from postal relay boxes. Bundle mail in preparation for delivery or transportation to relay boxes. Deliver mail to residences and business establishments along specified routes by walking and/or driving, using a combination of satchels, carts, cars, and small trucks. Associate of Arts Mineral Area College － Park Hills , MO I do not have a degree at this time but I am working toward an Associates of Arts degree. 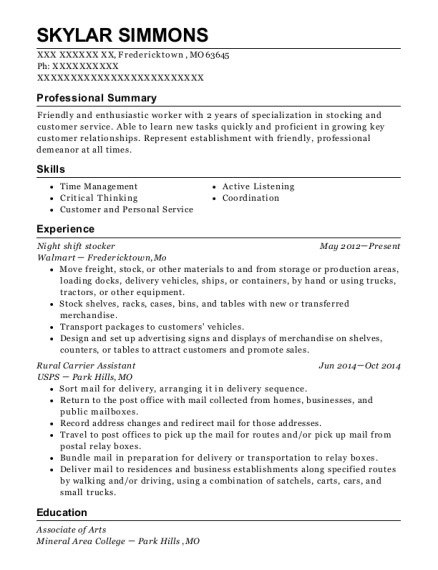 This is a resume for a Night shift stocker in Fredericktown, Missouri with experience working for such companies as Walmart and USPS. 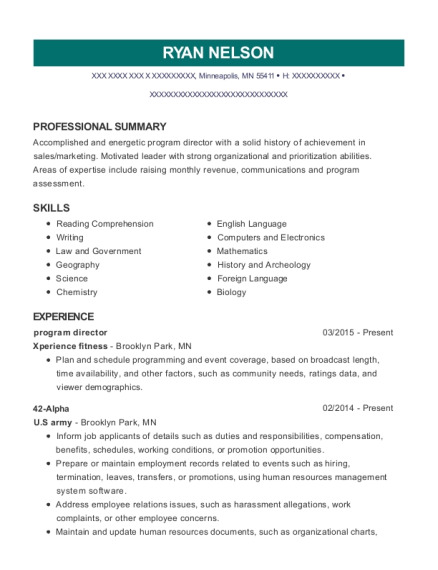 The grade for this resume is 0 and is one of hundreds of Night shift stocker resumes available on our site for free. 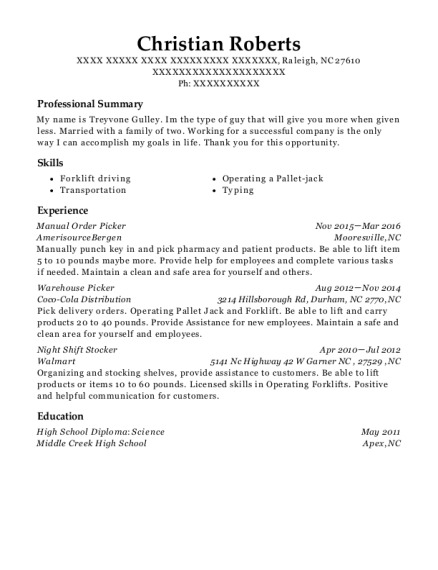 Use these resumes as templates to get help creating the best Night shift stocker resume.